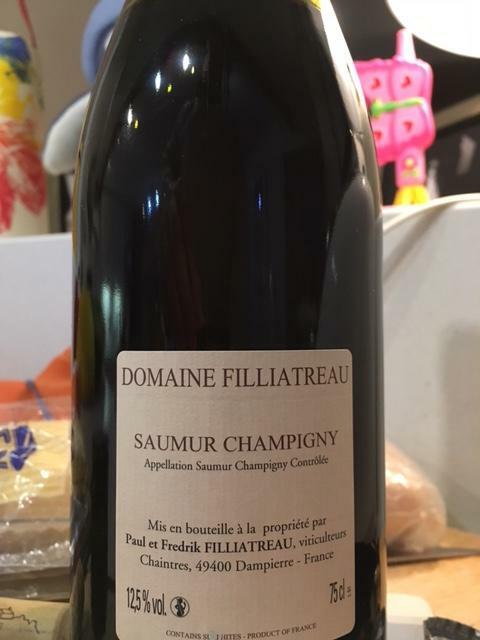 The 2014 was the first encounter with this red from Samur and the Filliatreaus don’t disappoint with the 2015 vintage. Open fruit, smooth yet earthy – you can taste the throbbing heat from the Summer sun. You can taste the soft warm summer evening sun in this delightfully smooth yet earthy Red wine from Samur – which we visited last year. 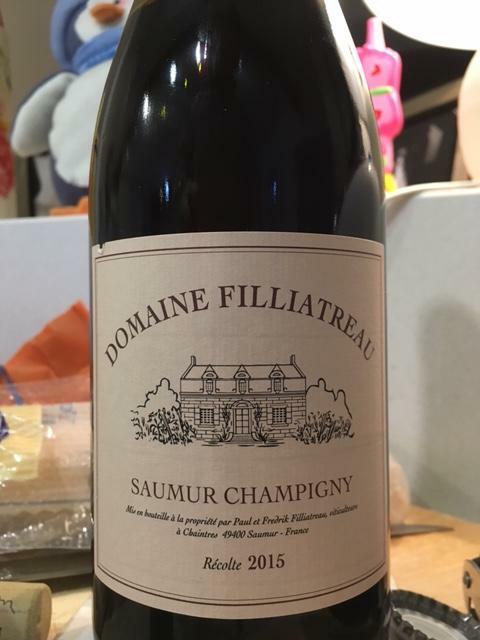 Delicious, lovely fruit, worth seeking out and it blows the myth of boring light Reds from Samur. Brian and I enjoyed this over dinner after a hard day visiting Powerscourt Waterfall, followed by lunch in Avoca, a drop in to wish the parents a Happy New Year, then to the O’Byrnes to wish Sarah a Happy Birthday, capped with a swift Pint of Guinness in The Tinsel Knacker. The girls had Irish Wolfhound Pale Ale. Phew.